So remember I made the Herb Mayonnaise the other day??? I love that stuff, it's so good, even my 9 year old boy loves it and he's the mayo man in the house, if it's not good mayo he won't touch it. I was craving potatoes today for lunch so I quickly threw this together and they came out really good. 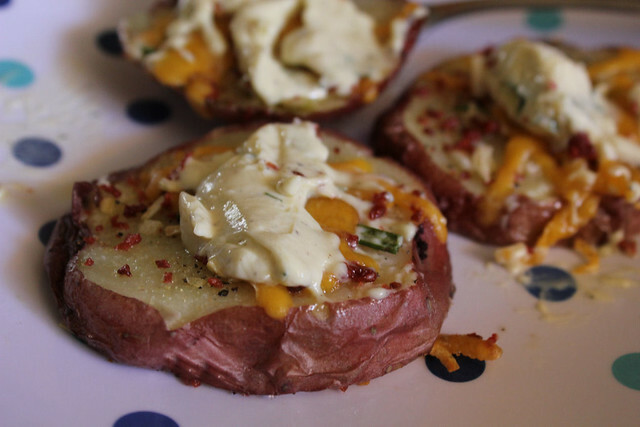 Cut the potatoes in half, place them on a paper plate and then pop them in the microwave. Just follow the directions on your microwave for cooking potatoes. Check on them halfway through, you don't want mushy stuff, you want them to still have a little bite to them. Spray a baking pan with some non stick spray and lay the potatoes on it. Drizzle with olive oil, sprinkle on some salt and pepper to taste, garlic powder to taste, onion flakes and then a little fresh rosemary. Next, add a little bit of cheese and top with a few bacon pieces. I prefer real bacon but bacon bits work in a pinch. 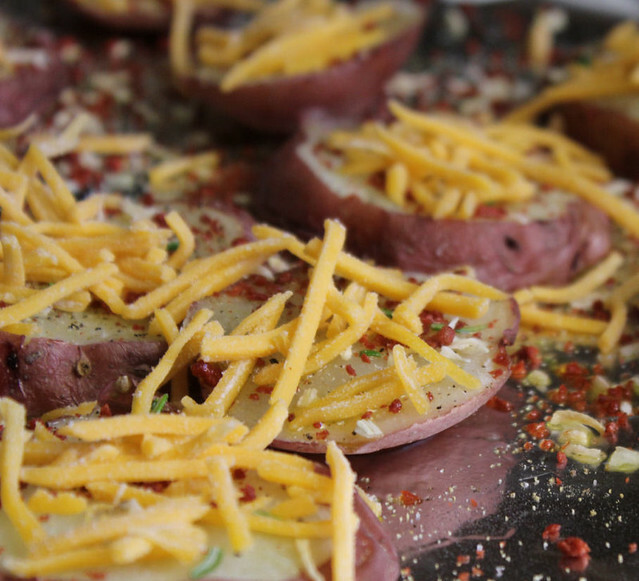 Bake at 450 degrees for about 15 minutes or until the cheese is melting and the potatoes are a little brown. Remove from the oven, add a dollop of Herb Mayonnaise and enjoy. I haven't seen these used here in the UK. I'll be trying these for lunch tomorrow they look yummy! What a fantastic idea, can't wait to try this. They look delicious! Yup yup yummy!!! 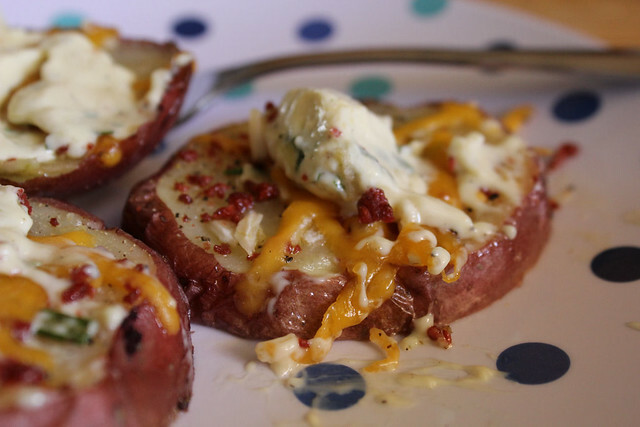 I really want try those baked potatoes with herb mayonnaise at my tomorrow's lunch..
Briana Charles from Twin Over Full Bunk Bed .